Where will you turn in a time of crisis? When tragedy hits? When disaster strikes? Will it be your favorite magazine? The morning newspaper? The evening news? You will need something to give you strength and direction in your time of need — and you can't find a better resource than the Word of God. As one pastor said, "One gem from that ocean is worth all the pebbles of earthly streams." Just a single pebble from the ocean of God's Word can make all the difference when tragedy or hardship strikes. How many in their affliction have found comfort from the Scriptures? Trusting in what God has said through the Bible can sustain us and give us direction and hope and comfort when we most need it. Inspirational platitudes or clever sayings don't help — or at least, not for very long — but the Word of God does. It has been said that "he who rejects the Bible has nothing to live by. Neither does he have anything to die by." Ideas and philosophies go in and out of style with the passing of years, but the Word of God never goes out of style. It never goes out of date, unlike this morning's news. The Word of God always will be relevant. That is why C. S. Lewis said, "All that is not eternal is eternally out of date." I urge you to get a good foundation in this Book because it is only a matter of time until hardship strikes you. It happens in every life, without exception. 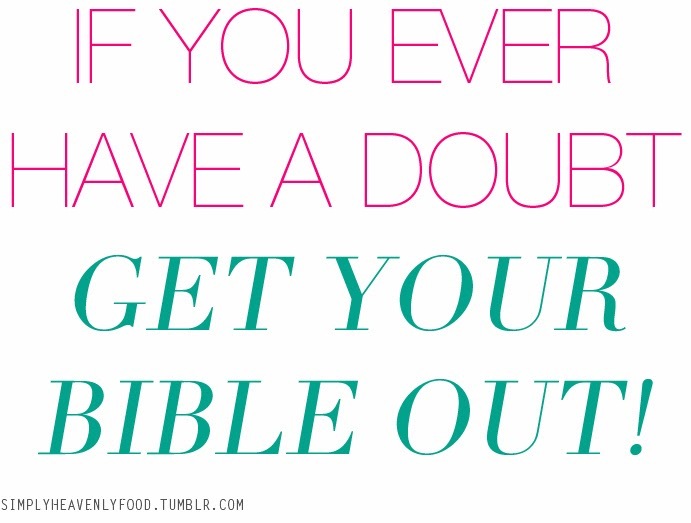 But if you have a good foundation in the Word of God, then you will be ready for difficulty when it comes. Don't wait until then to try and catch up. Get that foundation now. Wow!! This devotional speaks to all of us. Pastor Greg is right there is no better place to go when we have problems than to the Word of God. It is the same yesterday, today and forever!!! God bless you!! !